For many brands, the answer is no. Lithium, the company that owns Klout, released its State of Social Engagement 2016 in March and its findings were disappointing as many brands still fail to actually carry on a conversation with its followers. An amazing 95% of brands are still stuck in broadcast mode rather than engagement mode. Very few brands are using storytelling effectively across its social media platforms. 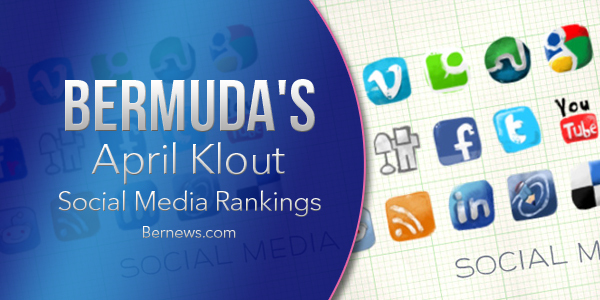 The Bermuda Klout Top 50 is comprised of only 12 companies as many local businesses are still not trying to reach out and connect with potential customers. They are failing to speak the language of a new generation. Some are killing it, like the Bermuda Tourism Authority, Bernews, and Bermemes but the vast majority still don’t get it. Those are three of the top seven Klout scores in Bermuda, with WWE and FOX commentator John Layfield, singers Collie Buddz and Heather Nova and LGBT rights activist being the other four. Premier Michael Dunkley, We Are Bermuda and Don Burgess round out the top 10. Overall, scores dipped this month with 27 scores taking a hit. All scores were recorded from April 9, 2016.